Purchase souvenirs at gift shops! 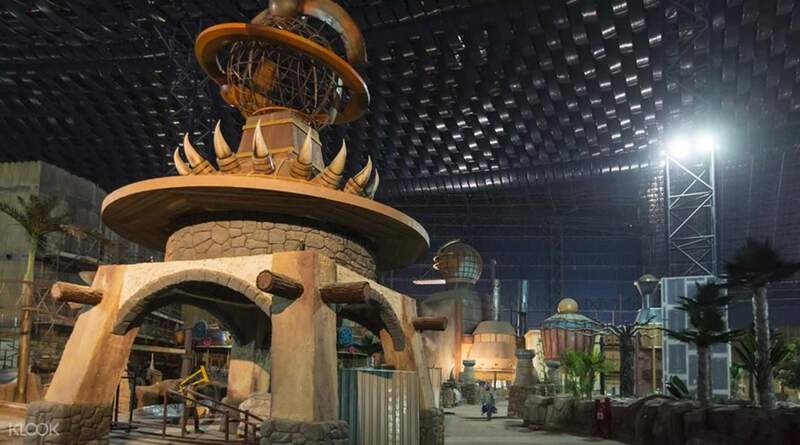 Experience an unforgettable day of fun at IMG Worlds of Adventure, the largest indoor theme park in the world. Covering over 1.5 million square feet, the theme park welcomes over 20,000 guests each day and features 4 themed areas known as "Epic Zones." In the first zone, you will have the chance to meet Cartoon Network characters that you grew up with, including The Powerpuff Girls and Ben 10. 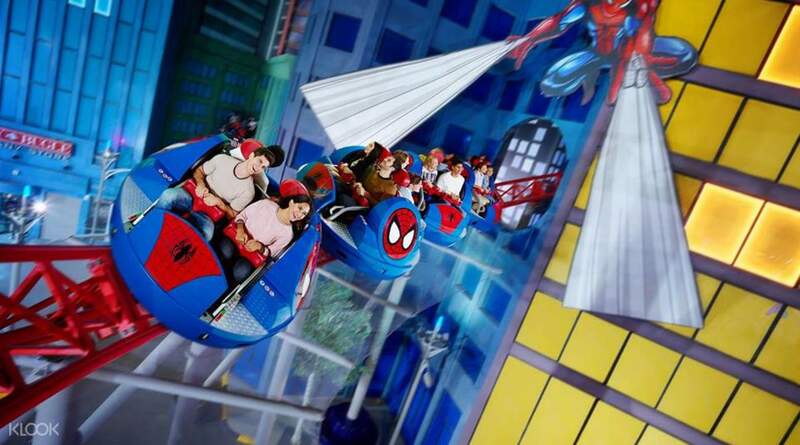 In the second zone, you will come face to face with your favorite superheroes from Marvel and take rides such as the Thor Thunder Spin that are as exciting as the movies themselves. In the third zone, be prepared to run for your life as you experience a prehistoric dinasaur age at The Lost Valley, featuring rides such as The Velociraptor and the Adventure Fortress. In the last zone, get ready for a spook at the theme park's famous haunted hotel. In addition to the rides, you will also dine and enjoy a meal in the wide variety of themed restaurants. 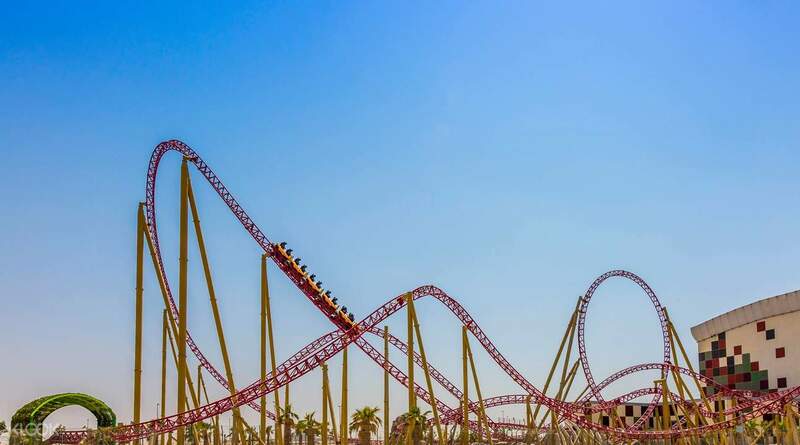 When visiting Dubai, this theme park cannot be missed! Think you have the courage to make it through Middle East's largest haunted attraction? IMG is definitely worth visiting especially with kids who are 1.95 m & above.. rides are super thrilling & chilling as well. We enjoyed to the fullest. Usually it takes 5-6 hrs minimum to complete all rides. Awesome experience. IMG is definitely worth visiting especially with kids who are 1.95 m & above.. rides are super thrilling & chilling as well. We enjoyed to the fullest. Usually it takes 5-6 hrs minimum to complete all rides. Awesome experience. this is the first theme park whereby 90% of the rides you just need to wait 5mins!!! the only way to go there is by taxi, not that expensive, just average price. then the park open exactly at 11am with a mini performance. completed the whole park in just 4hours!! it’s big, but because of the lesser crowd, everything was done at shorter time. definitely need to experience it once in a lifetime!! this is the first theme park whereby 90% of the rides you just need to wait 5mins!!! the only way to go there is by taxi, not that expensive, just average price. then the park open exactly at 11am with a mini performance. completed the whole park in just 4hours!! it’s big, but because of the lesser crowd, everything was done at shorter time. definitely need to experience it once in a lifetime!! Nice leisurely walk around the garden with the Dinosaur Park best before sunset and Garden Glow after sunset. Very colorful and creative glowing sculptures. There are also a number of food stalls as well as KFC, Pizza Hut and Krispy Donuts for food. Takes about 2 hours to see everything. Nice leisurely walk around the garden with the Dinosaur Park best before sunset and Garden Glow after sunset. Very colorful and creative glowing sculptures. There are also a number of food stalls as well as KFC, Pizza Hut and Krispy Donuts for food. Takes about 2 hours to see everything. 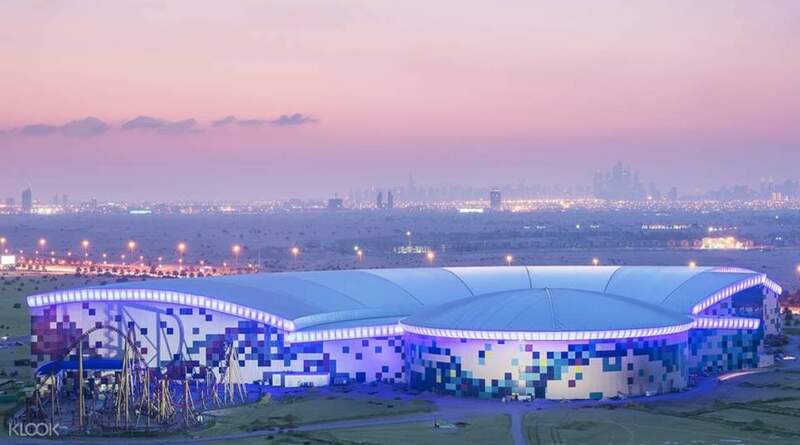 transformers and marvels shows... indoor theme park and largest indoor park in dubai. free complimentary transfers from deira and bur dubai. 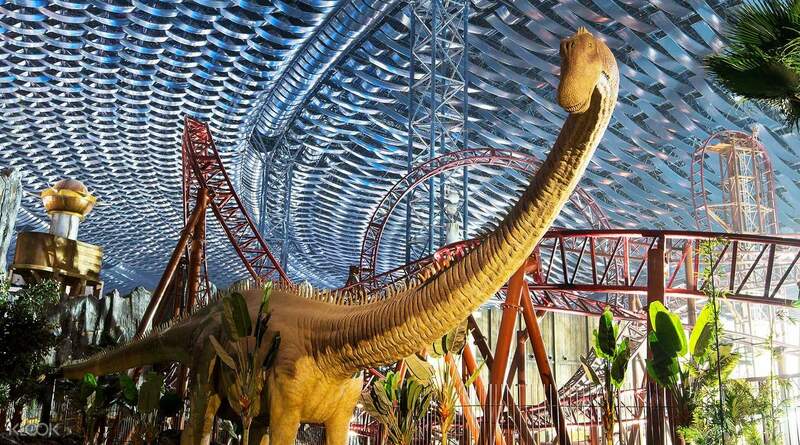 transformers and marvels shows... indoor theme park and largest indoor park in dubai. free complimentary transfers from deira and bur dubai. IMG Worlds of Adventure is a good indoor theme park. It has a few attractions for all ages, and good decorations and theming. I specially liked the Marvel area and the dinosaurs land. There are several places to eat, I did in the italian restaurant in the entrance area. It was good for an affordable price. Take into account that is impossible to reach by public transportation, so you will need a car or to use a taxi. You may have shuttle bus from your hotel, ask in reception. IMG Worlds of Adventure is a good indoor theme park. It has a few attractions for all ages, and good decorations and theming. I specially liked the Marvel area and the dinosaurs land. There are several places to eat, I did in the italian restaurant in the entrance area. It was good for an affordable price. Take into account that is impossible to reach by public transportation, so you will need a car or to use a taxi. You may have shuttle bus from your hotel, ask in reception. entry was simple and easy and the park is huge!! although the park itself was great with loads of activities for everyone to enjoy, the service at a couple of restaurants was far below what we had experienced throughout our stay and we were very disappointed with this. entry was simple and easy and the park is huge!! although the park itself was great with loads of activities for everyone to enjoy, the service at a couple of restaurants was far below what we had experienced throughout our stay and we were very disappointed with this. The trip to IMG was good. I was surprised that it’s not that crowded. Overall, it was a good experience. The trip to IMG was good. I was surprised that it’s not that crowded. Overall, it was a good experience. awesome experience. we spent the whole day there. kids loved the indoor amusement and the roller coasters. awesome experience. we spent the whole day there. kids loved the indoor amusement and the roller coasters.